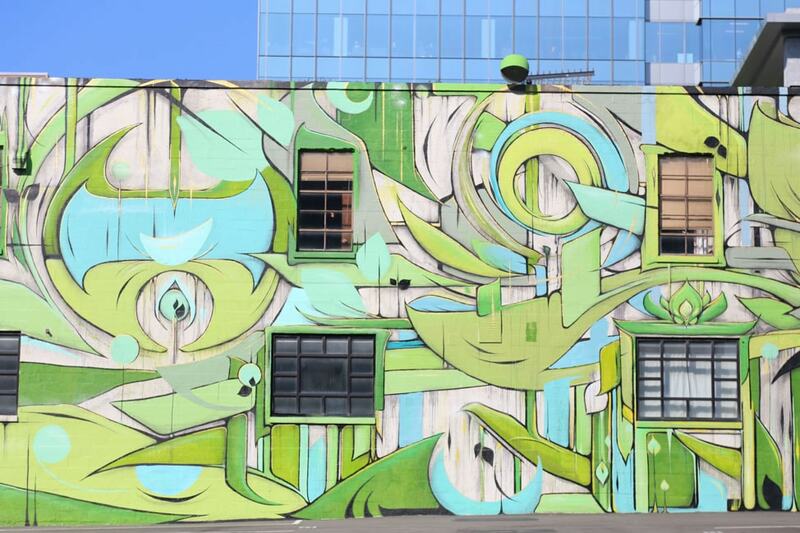 As Nashville continues to grow, so does its street art scene. And the more I deviate from my normal route in Nashville—thanks, traffic!—the more I see bold, new murals popping up daily. I absolutely love it. They’re unavoidable, they’re stunning, and they really dress the place up. I’ve spent the past several years photographing every mural I’ve found. This is an exhaustive list of murals we’ve tracked down in every corner of Nashville, but my no means all of them, as street artists are adding to Music City’s cultural fabric daily thanks in part to creative pioneers like the Nashville Walls Project, which has been connecting both local and international artists with building owners for a handful of years. Still, whether you’re a local looking for a Spring Break staycation idea or traveling around Music City’s many neighborhoods on your next weekend getaway, I hope you’ll use this handy map as your guide—and drop descriptions of any murals you find that I may have missed in the comments so I can add them accordingly. Note: This post was last updated in April 2019. The neighborhood I spend most of my time in thanks to my yoga studio’s location is also one that’s quite walkable and boasts a growing number of restaurants. 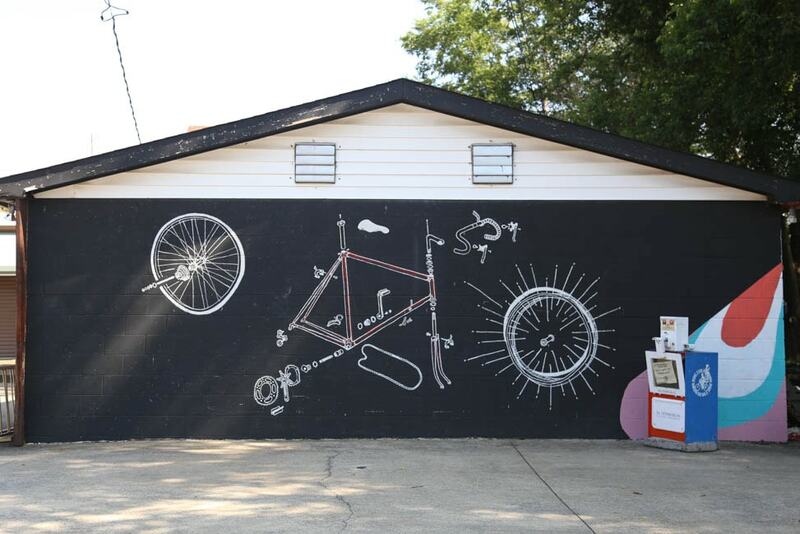 Park your car near Werthan Lofts and hit up these walls and murals by foot. 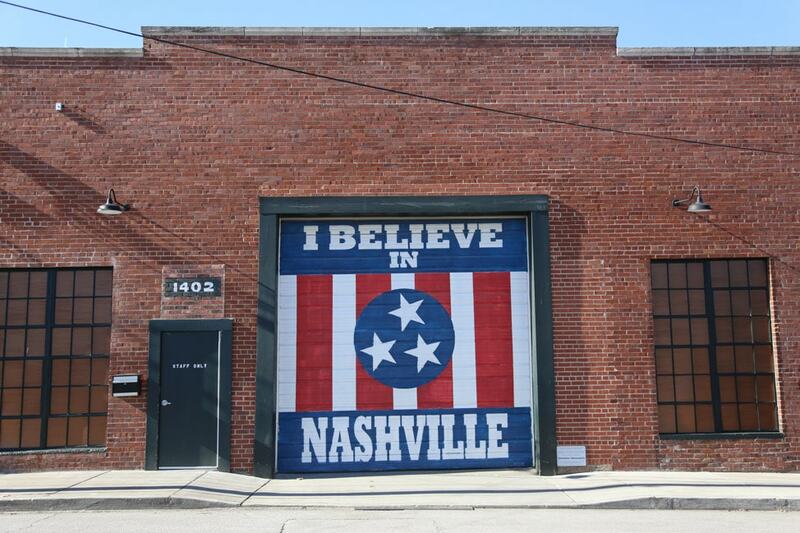 My friend Adrien Saporiti (formerly of DCXV Industries) is the brains behind the iconic “I Believe in Nashville” mural, which has been posted more than one million times from seven different continents and which you can now see in Marathon Village, Riverside Village and in 12South. I prefer the Marathon Village location as it’s usually devoid of large crowds (though parking is tricky), plus you can visit Nelson’s Greenbrier and Corsair distilleries while there. For those interested in Civil Rights history, there are some fascinating pieces along Jefferson near the Tennessee State University campus, particularly beneath the I-40 underpass. 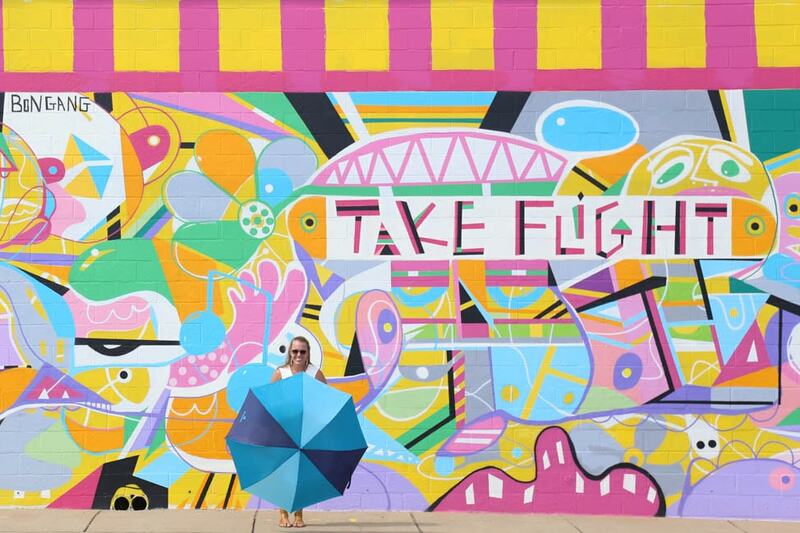 The “Wings mural” as many call it became the first conversation starter in the Gulch, but a number of bright, splashy creations have joined the fray this year so it’s worth strolling down 11th Avenue South to see else what you may find. I predict this area rife in artist galleries and studios will be the next big neighborhood for murals if zoning codes don’t prevent them, but for now, you really have to go hunting to find them. Hillsboro Village is changing dramatically; it’s now easier to arrive on foot than find parking. But if you can nab a coveted spot, there’s a paid lot behind Pancake Pantry just off Belcourt Avenue (be sure and get a ticket before you leave your car as meter maids here are brutal!). An hour is all you need to wander this small area on the Vanderbilt campus and snap a couple shots of its walls. 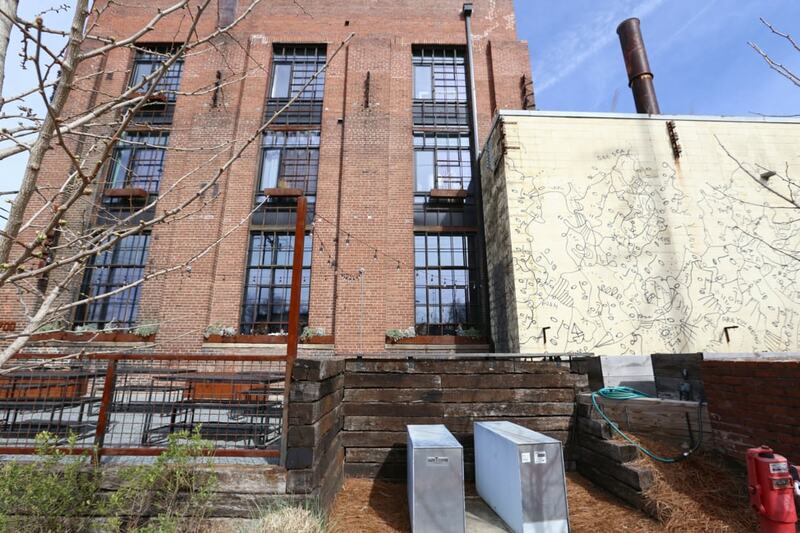 12South is another one of those highly walkable ‘hoods with murals tucked around every corner. Park on one of the side streets—just make sure it’s not a residential-only parking area, as you will get a ticket—and walk from one length at Sevier Park to the other at 12South Flats. 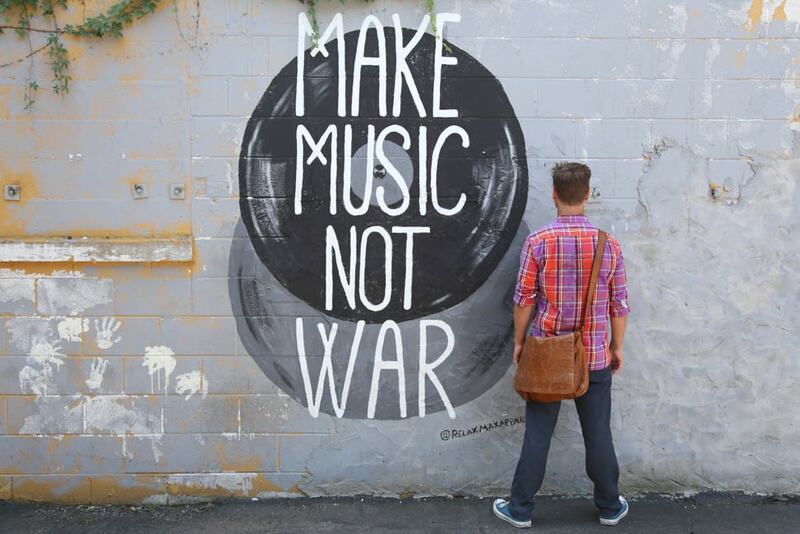 Note: This has now been replaced with this Nashville #PeaceLoveGoodDeeds mural instead. 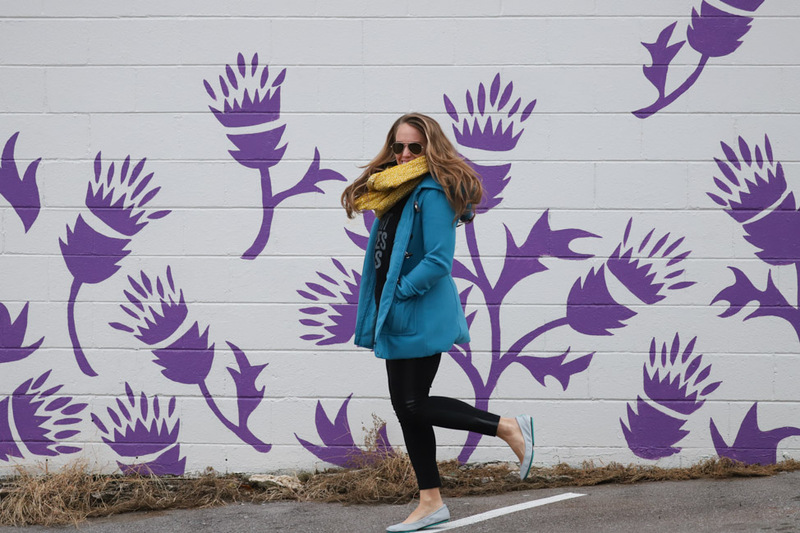 Many of the murals along Charlotte Avenue are located along one stretch installed by Off the Wall Charlotte, the brainchild of artist and curator Tinsley Anne Dempsey that was backed by the Greater Nashville Arts & Business Council with several corporate sponsors. These 14 murals are a bit tricky to reach by foot, so I recommend parking in the lot in front of AVO and crossing the street at the traffic light with your photographer poised on the other side of the busy road. 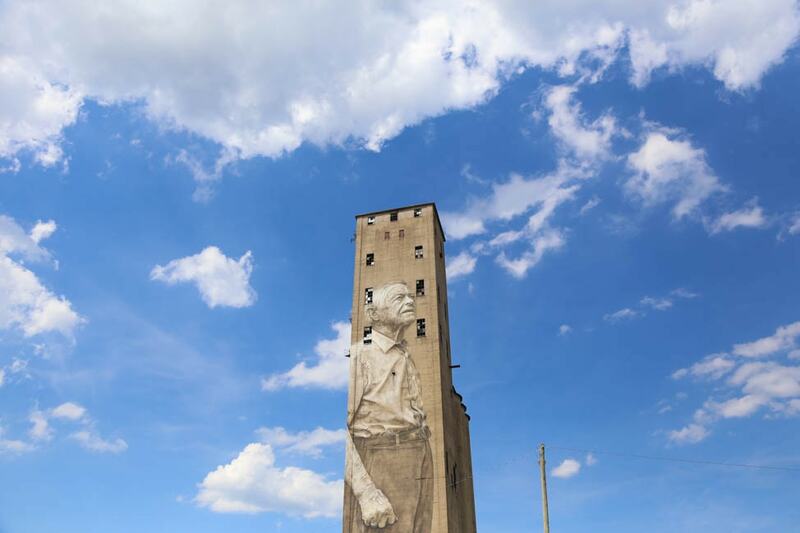 The Nations is very much up-and-coming, and this 160-foot-tall portrait of 91-year-old Nashville native Lee Estes painted on an old silo is one of its most famed residents. I love seeing so many new businesses commissioning pieces as a way to bring art lovers to this very hip ‘hood. Midtown is getting a pop of color with some new street art painted down alleys and on parking garages. 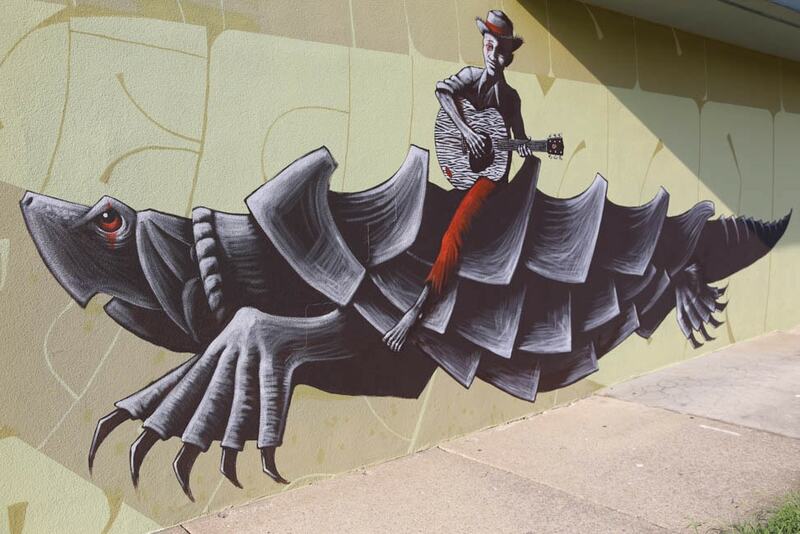 Music Row, which has a protected historic overlay, on the other hand, isn’t exactly brimming with street art, so you have to go in search of fun pieces like this by heading down Roy Acuff Lane on foot. Pro tip: Also grab a photo with the guitar installations outside of Studio B while you’re there. Elliston Parking Garage, Nashville Walls Project artists: Chris Zidek, Audi Adams, Folek, Chase, Brian Wooden, Tess Erlenborn, Daniel Lane, Mobe, Emily Miller, Nathan Brown. Downtown is dotted with murals—like the Rainbow Walls that Instagram commissioned from Adrien Saporiti for IG’s #KindComments campaign in support of the LGBTQ community—but there are also a number of country music personalities like Johnny Cash who have their own dedicated pieces of art. Note: This one is at risk of being torn down. 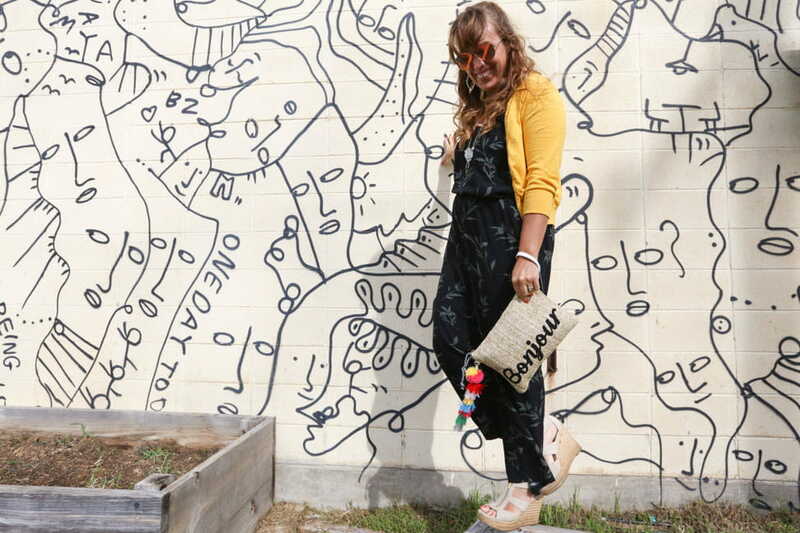 Of all the neighborhoods in town, East Nashville is the one most brimming with street art of all kinds—you’ll find it on the sides of buildings, you’ll see it hidden beneath construction zones, you’ll spy paintings on the backs of residential fences. The easiest way to see it all is to hop in the car with a friend and drive down Gallatin Pike to see what all you can find. Center 615 at 625 Main St. There will always be new Nashville murals left to photograph, so I’ll add to this list as I find them. Feel free to drop me a note in the comments highlighting any walls or gorgeous pieces of street art I’ve missed! This is so fun! I had no idea there were so many murals in Nashville now. Just a couple of corrections- the mural on the side of what was the Family Wash in East Nashville is by Herb Williams but Folek my have worked on it. Everyone collaborates around here. Also, the mural at Jerry’s Artarama is by Marshall Hall and Hannah Holgate. Thank you, Marshall! Changes made. The Artarama ones are some of my favorites EVER. Excellent compilation! I was surprised to find excellent murals inside (well on the patio) Greco Street Food in East Nashville. Good eats, great art- worth checking out. I knew you of all people would love the new Nashville 😉 So many Instagram moments in the making! So beautiful, I love all the murals! Love those murals. This is the best article i read today. Thanks for sharing. So pretty and so cool! I’ve been meaning to do the same here in Richmond. We’ve got a ton of street art and I need to just take an afternoon and wander around the city to find some of it. 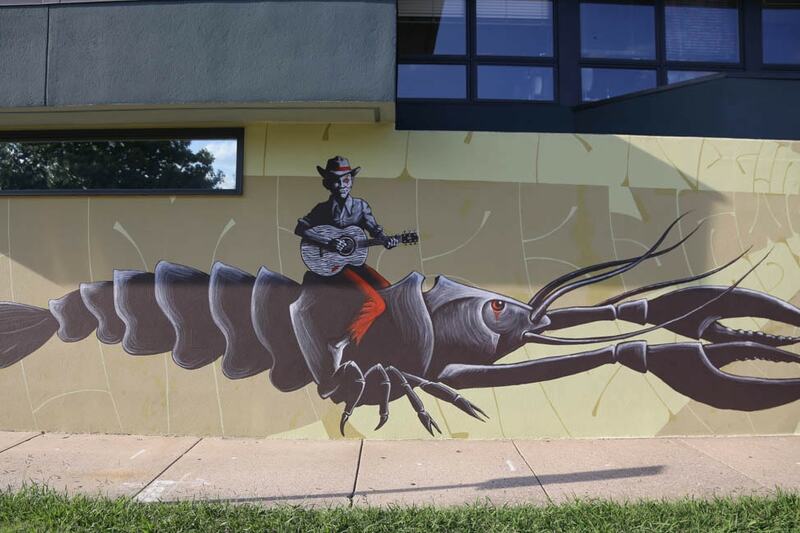 I have a blogger friend in VA who’s been posting a lot of Richmond murals lately, and now I must come visit! If I come to Richmond, I full expect you to be my tour guide. And on that tour, I expect a cocktail stop at least once an hour. K? Wow ! So nice post. I want more post like this in near future. That avo mural has to be one of my top 10!!! I had no idea Nashville had that many murals. It’s on my list to visit! The street art scene really has just taken off in the past two to three years, I’d say! The murals are amazing and this is so much fun!! Just looking at your photos I know that you had such a great time! 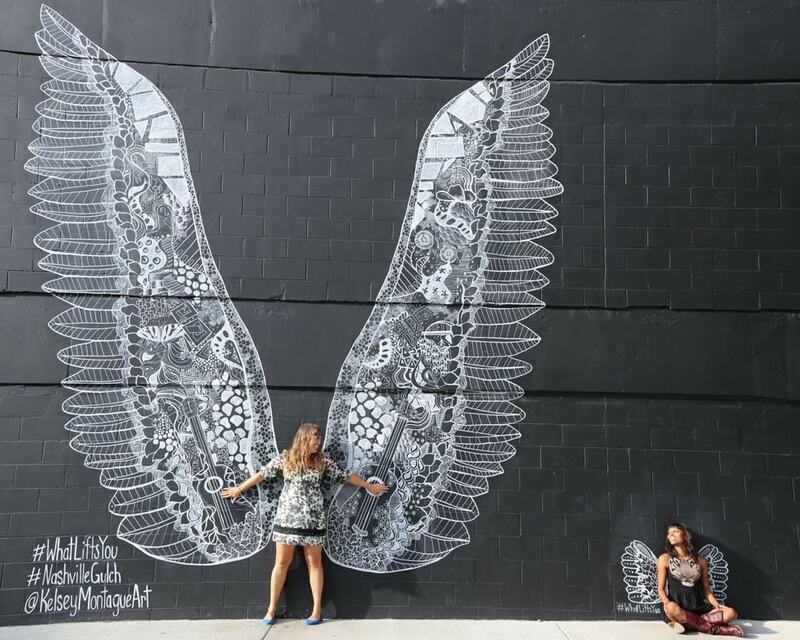 If I ever go to Nashville I definitely need to go take a picture with the wings! The wings one is probably the second most popular spot after the I Believe in Nashville. So inspirational! I came across your blog today as I was surfing through twitter. The murals you have shared in your post are simply breathtaking! They add life to the concrete structures they adorn, don’t they? I think, we all could do with a lot more of such vibrancy in the concrete jungles we all live in! I had a pen pal from Nashville long ago (almost 20 years ago) and I guess that’s what attracted me to your wonderful blog! Hi Shilpa! That’s so fun that you had a pen pal from Nashville. I hope you get the chance to visit someday in person if you haven’t already =) I do agree that murals can add so much depth to a boring cityscape! I am already visiting Nashville and enjoy every moment there. I’m so glad you liked it here! So nice and wonderful article I like your this great job. Good job dear. I had absolutely no idea that street art/murals was a huge phenomenon in Nashville! Gorgeous photos! Nashville is such a cool city. I had no idea about all the street art. Must make a return trip! I’m sure there will even be more that has popped up by the time you return! I love street art. That guy on the side of the building looks awesome! Has the street art trend overtaken Holland yet? This is the most comprehensive list of Nashville street art I’ve seen! I’m heading there in a week and really look forward to finding some of the less publicized works you’ve featured here. Did you find any good ones, Danielle? We wound up having less time than planned in Nashville – we chose to leave Monday afternoon instead of Tuesday morning so we could beat any rains from Irma among other little reasons. So we stuck to the murals around 12South for pictures. Did catch the Take Flight piece as we drove down Charlotte, and really looking forward to making it out to East Nashville next time. Love hearing about new cities like this ! Nashville has so many cool murals around town 🙂 And I thought this city was only known for its country music ! 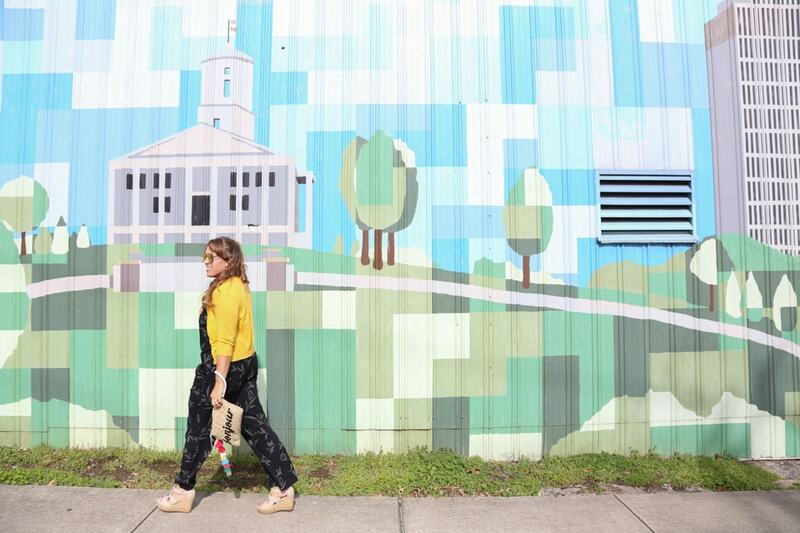 Thank you for sharing all the well-known Nashville murals and the address to find them. If I ever find myself in Nashville and have some spare time between visiting amazing restaurants and taking in the country music history, I would stop by some of these beautiful works of art. 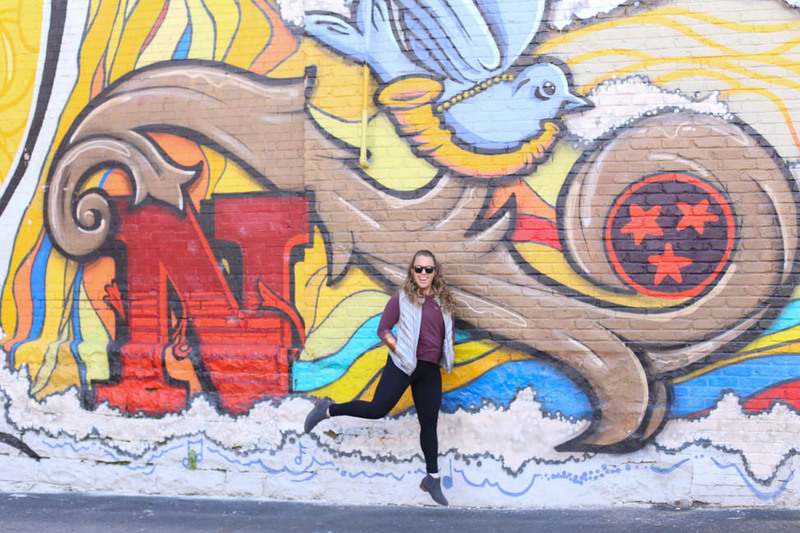 Omg didn’t realize there were so many cool walls in Nashville! I’ve been dying to go and this makes me want to go even more! I will definitely save this and hunt these down when I finally get there! SO many. I honestly can’t keep up! Wow! I spent a whole weekend in Nashville and didn’t see any of these. Gives me a reason to go back! I have seen some of these on instagram so I knew Nashville has a lot of street art, but you found some great ones I hadn’t seen before. I really want to go to Nashville because I love country music, but I need to make sure I have some time to see the art too! screen arts are really beautiful. I love (and always write about) street art. I adore these walls! When I get to Nashville, I will definitely be checking these out! In your every post your photographs have a unique charm they are very attractive and i found them appealing, so in this post they are amazing and the quality is out of the world. Being an artist I can understand how much effort it requires to create an artwrk. Keep up the gud work love those street art of yours. So much work! I wish I had that kind of talent. Your post is really awesome. You done a great job through your paintings. Thanks for sharing. 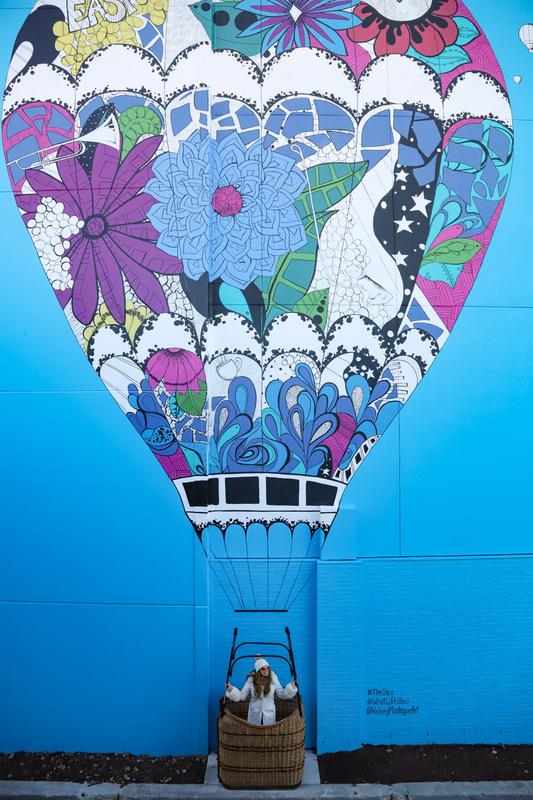 Love these murals, you captured them so beautifully with your vibrant pictures. Makes me want to book a trip to Nashville just to see these! Thank you so much, Priya! It is a very colorful city indeed. There’s a great spot in the parking lot behind Downtown Presbyterian (5th & Church, a block uphill from the Ryman’s back side) where you can see three murals. I JUST saw this one this week when I parked there for Alison Krauss/David Gray. Sadly, I didn’t have my camera on me, though, boo! 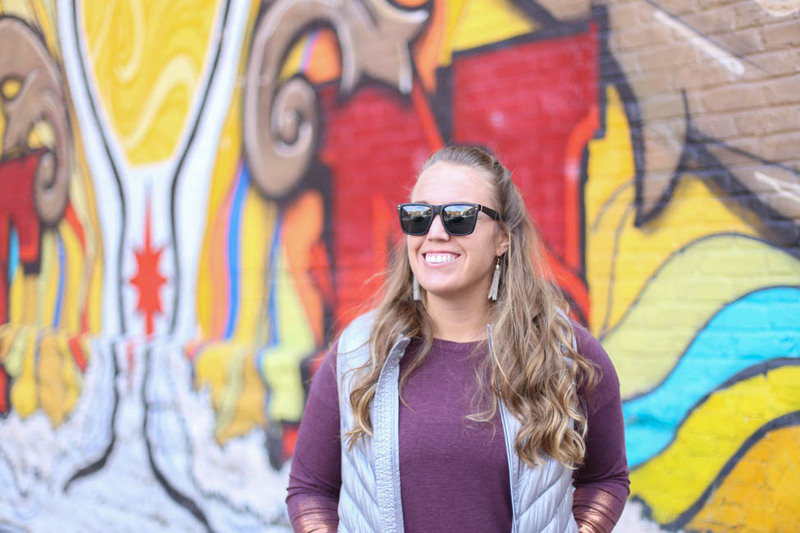 I live in Indianapolis and we have a bunch popping up around town and I’ve started a blog post of my own about some of the more interesting ones. I’ve visited a few from Nashville on your blog and hopefully I can make it back soon to see some of the others! Finding wall murals is a favorite thing of mine to do whenever I travel. It’s up! Here’s the link for reference: https://lostbetweenthepages.wordpress.com/2017/10/11/discovering-indys-wall-murals/. I have been mural hoping for a year now. I have seen all that you show, and bunches more. 2 questions, The Rainbow Wall. I have looked for it and found one by Aaron on 2nd Ave. on the side of a building. Is that it? I was thinking it would be a big wall. Maybe not. Also, I have looked for the Willie Nelson Mural on Almond St. for over a year. I must be blind! Now I think the building it was on has been torn down. Do you know anything about it? I discovered a few weeks ago the Johnny Cash Mural is “open” again. They were working on the building next door for a year (maybe longer) and it had been blocked off. I hope it stays. The building its on has been sold. Hi Joye! The rainbow wall is on the west side of 12th Avenue South right across from Draper James, Edley’s, etc. It’s kind of hidden as you’d only see it if you were driving northbound. Ok, I have seen the rainbow 🌈 wall in 12 South. I have had 2 different address for the Willie Nelson Mural. But have not been able to find it at either address. The 2 addresses I have are 398 Almond St and 378 Almond St. 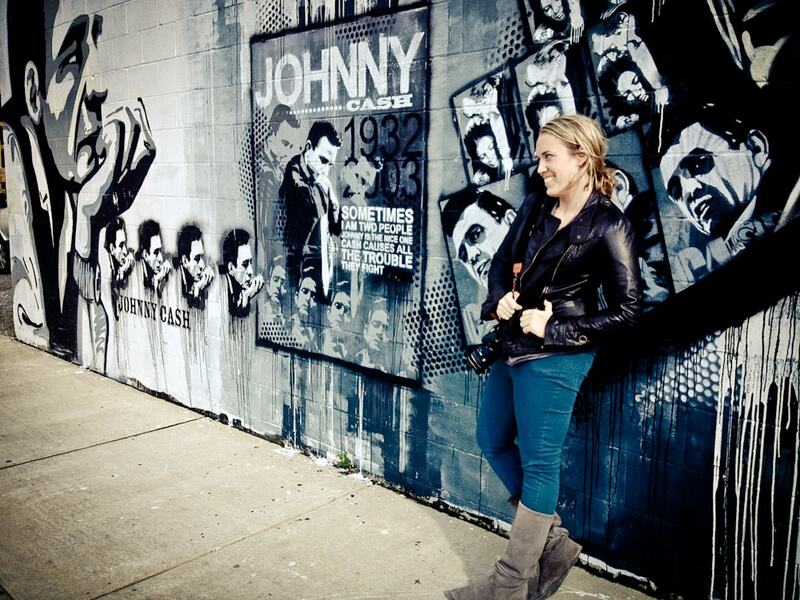 I was in the vicinity of the Johnny Cash Mural and Bridgestone a few weeks back. The GPS lead me there and there was a hole in the ground where they had torn a building down. But when that building was still up I couldn’t find it. So I was in the wrong place or blind. The other rainbow Mural I found is at 221 2nd Ave N.
Lots to see downtown. We parked and walked all over DT. Be sure and go up 6th to the dog Mural. Go across the street to the Hermitage Hotel and see the famous Art Deco men’s restroom! Iconic!!! Yes, they let women inside. Great photo fun! I’ll have to update the text. Thanks for pointing that out! I recommend going to see the Merle Haggard Mural. It is at the corner of Clifton Ave. and 25th Ave N. it is on the side of the building that faces the railroad tracks. Went to Norf Wall at 817 18th Ave N, there are 2 others with it. 4303 Albion St.has a cool one. Printers Press at1618 State St.
Science Mural 1250 Foster Ave at Nashville School of Arts🎭. Proudly Serving Nashville Mural, 3408 West End Ave. Can’t get pick. front of it. Ailen Attack mural, 516 Hagan St.
Face, on The Packing Plant/Watkins Bldg. 507 Hagen St.
Tristar Mural Ole’ Building, 462 Humphrey St.
One down Nolensville Rd from there on right side, going away from town. Has faces on the building. Turn in to park and there is another one across the street from it. Grimeys Too, 8th Ave st the Frothy Monkey 🐒. The Tree of Life at McKendree Methodist Church. You have to go inside the church and ask permission to see it. It is on an upper level. Many more at 8th Ave S area. Storyville, Third Man Records, Jackalope Coffee, tile wall, Carter Vintage Guitar 🎸 both sides of the building. Directly across from Storyville is a boy with outstretched arms. That is 8th Ave S and Drexel. Marine Mural at Douglas Corner Cafe. These were some from my last 2 trips out. I missed the original at Ledgends Corner of the city 🌃 scape. I have seen the country music one that is there now. I wonder if the original is under the one there now. If I remember correctly the new one is painted on boards and screwed into the wall. I think? I really wanted a picture in front on the original. I took my cousin’s engagement photos in front of that mural! And I’m with you: I don’t like the new one, or the new Thistle Stop Cafe one for that matter (we drove by it and I chose not to take a photo as it looks like something a kid could have painted). If anyone is interested….I put together a map of the murals in order of location for my daughter’s senior trip….of 42 different murals around Nashville. Almost all of them are on your website….but if your readers would like a map to go with it, I’d be more than happy to email them one. Joyelle, I would love the map of the murals. And thanks to Kristin for the great info. Hi Janice! There’s a map in this photo, as well, below the second paragraph 🙂 There are some newer ones I need to add, but it will still direct you to the right neighborhoods. I would love a map. We are heading there tomorrow! We are here on vacation and my daughter and her bff want their senior pictures in front of the murals. This list is making our route planning so much easier. Thanks! I’m so glad! There are quite a few new ones in 12South, Downtown and East Nashville that I haven’t even gotten to yet! I’m new to the city. Have been planning to visit them all and capture myself. Loved the way you captured all of them. Murals are so much fun to explore. Sunday morning when all the businesses are closed and cars aren’t blocking the views! I’ve been to Belfast several times but never taken this tour! A definite excuse to go back! Oh, how fun! Did you guys find any cool murals while you were visiting? Awww, that’s really nice to hear, Erica. Thank you! Stellar guide, everyone always tells me I’d love Nashville because I love New Orleans, and both have a unique soul. But little did I know there was all of this amazing street art! Wow, it’s incredible! I love street art and it’s some of my favorite features of a city, but I had never really thought to visit Nashville for it.Thanks for changing that! Also, love your blog…first time here and wow I love the layout and your content! Happy tracveling! Ryan, thank you! I’m glad you’re now considering Nashville as a viable art destination as it definitely is. And appreciate the kind words on our blog—we have a great design team (Furtherbound), and it was really important for us to have a nice magazine layout and no ads cluttering the site when we did our last redesign four years ago. I love Nashville, I was there for the first time a few months ago when we found ourselves unexpectedly driving from florida to Chicago. I also love street art and wish we had more time, as you have found so many wonderful street arts in the city. Just an excuse for you to come back soon, Rhonda! The murals looks amazing! 😀 So vibrant and colorful! Great backdrop for pictorial. Nashville is soo cool. It is in my bucket list. 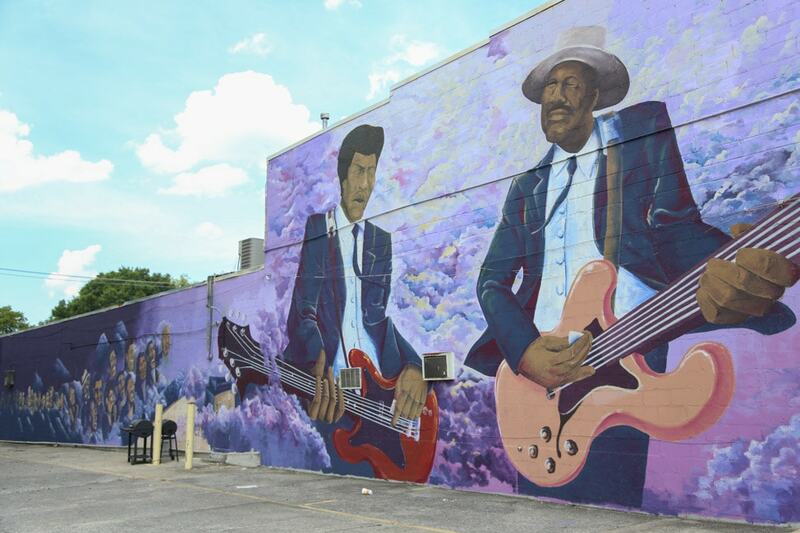 The person who painted the blues mural on Jefferson is Thaxton Abshalom Walter. Perhaps you can update the blog to reflect the artist? I found the mural based on your blog & asked around. After looking at your picture really closely, Thaxton’s name is on the lower right corner of the mural! That’s wild that I never saw that before. HTH. Killer! Thank you! Sometimes even when I see a signature on a piece, I can’t make it out (or find that person online). Appreciate you sharing this!